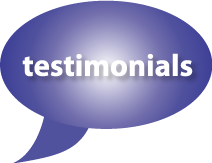 Testimonials | Herzing Installations, Inc. Thanks so much for a wonderful job. We are very pleased with the workmanship. We can’t help but brag it up. Tell your crew, “Thanks for a job well done”! We are very pleased with the workmanship of your company. Thank you to you and your staff for doing a wonderful job on my house. It looks great! Your staff was very professional and east to work with. I really appreciated the way they thoroughly cleaned up the work site at the end of each day. It would be my pleasure to serve as a reference for your company. Thank you once again for a job well done. We like to thank you and your crew for a job well done. It was a pleasure doing business with your company. We have no reservation recommending you to others. All the best. Thank you for the great job you did on the roofing and siding. In particular a special thank you for the courtesy and consideration that you and your crew showed to Mom and Dad. We’re all very pleased with the way your guys performed and the end result looks fantastic. Please fell free to use us as a reference. My husband and I want to thank you for the wonderful job your company did in installing our roof at North Brighton Place, Arlington Heights. Every aspect of the job from the advice and customer service you gave and to the great workers you employ, was superior. We have never had a better experience as homeowners. we will highly recommend your services to your future customers. Soon I will be calling you for our window concerns. I would like to thank you for the easy and comfortable way that you handled the work to be done on my home. The time frame that you told me was in the time allotted even though Mother Nature doesn’t always cooperate. Your crew is hard working and also very professional. They work long and constant to make sure the work was done just right. When I had questions they took the time to answer them, including a few laughs. Of the four estimates that I got, yours was the most reasonable for the quality of work that you give. I am grateful to my neighbor who recommended you. Also I will not hesitate to call you for future work on my home and will recommend you to anyone in need of work. May I say that the men you had working on my project were excellent. They were hard working, courteous, and made sure I was happy in all aspects of the project. It is a wonderful thing to have a work crew that dedicated to their trade working for both of us! I will recommend your company to everyone that I know requiring your services. Again thank you for a job well done! The finished product came out better than anyone could have foreseen. The crew led by Eddie Palascz was industrious, energetic, and polite. It was a pleasure to have them around. The craftsmanship of this crew was of the highest standard and reflects on his character, oversight and training. We will forever sing the praises of Herzing Installations. We will be sending you some “before” pictures separately. Please feel free to have a potential customer drive by or call us. This is the best workmanship I have ever had the opportunity to be associated with. We just want to let you know that we’re very pleased with the aluminum trim, gutter, soffit, and fascia work recently completed at our home. Your crew is very professional and polite and their workmanship is outstanding. Barb in the office is very helpful and friendly. Perry, we really appreciate your extra effort and attention to details regarding the trim work and for making such a great color selection of caulk to match our existing siding. We would feel quite confident recommending your company to others looking to have quality work done on their homes. Thank you for doing such a wonderful job on my re-roof. I was apprehensive of selecting a contractor, but once I received a recommendation from my boss, I knew Herzing was the contractor I was going to have perform the work. Even though Herzing was not the low bidder; you did offer something that none of the other contractor’s suggested, which was to replace the siding on the dormer due to roofing tar having been smeared on by the previous roofer. I hadn’t thought to have that done, and was thrilled with the prospect. I was pleasantly surprised at the conscientiousness of your employees. They were respectful of my property and cleaned up as they performed the work, not waiting until the end of the day. They performed their work in a professional manner and worked diligently throughout the day. I am completely satisfied with the work that was performed. The roof looks great. The siding looks wonderful (secretly my favorite part of the whole job). And the chimney flashing looks neat, clean, and perfectly aligned. Thank you for doing such a tremendous job, for being trustworthy, conscientious, and delivering a gorgeous final product. We would like to take this opportunity to tell you how very pleased we were with the work that was done on our home just recently. Your staff was exceptionally courteous and professional, even while working inconveniently due to some other improvements that were scheduled at the same time. We truly appreciate the patience and willingness to be in a partnership that was displayed by your employees. Thank you again. We are pleased with the results of the completed work and we would highly recommend your company to others. I just wanted to take a moment to tell you how impressed we have been with the two men Jack, and Wotek, who are installing our new shingles. They are very courteous and friendly and willing to speak to me when I go out to check on their progress. I am extremely pleased with how thoroughly they clean up at the end of each day before they leave the work site. Last evening they were actually here until dark cleaning up. Other bids I received for this job were somewhat less expensive, but I am sure they would not have sent as good a crew as Jack and Wotek. You should be proud to have these two fine professionals on your staff. I am highly recommending you to anyone who asks how we like your work. You may have people contact me for an endorsement should you like. Every time I come home and drive up to the house, I smile at how nice my house looks. I would like to thank you and your crew for the professional job they did on the roof and soffits. The repair work on the bow window that you did for me, now makes it look and operate like a new window. I would be very happy to recommend your company to anyone thinking of using your services. Your crew was polite and they left the work site clean every day. What a delicious unexpected gift! Thank you ever so much for your note and candy! We really appreciate your thoughtfulness. We are extremely pleased with the workmanship done on our house and garage by your company’s crew. They did really good, neat work and clean up! Herzing Installations will definitely be recommended by us to anyone we know, who needs your kind of work! Thanks again for getting the work done in time for our two major parties! Thanks Perry, Barbara, Eddie and his crew. The work was done extremely well. Eddie is a perfectionist. Please tell everyone how satisfied we are with your services. It was worth the wait. We know you will do the job well and will be there for the long haul. Thanks again and we’ll be calling you when we decide to do more work. Whenever I need work done on my house I know I can depend on Herzing to do a “stellar” job. In 1996 you installed an architectural style roof. In October 2003, you replaced my weathered aluminum siding with maintenance-free vinyl siding. I am extremely pleased with the results of both jobs. I enjoy working with Barb who makes sure the paperwork and calls are handled promptly and appreciate your advice regarding the work and products to use, and your support and follow-up while the work is in progress. Being able to voice my concerns freely, and have them addressed to my satisfaction, is very important to me. The crews you send to my house are experienced, neat, friendly and considerate. Eddie and Ted and other crew members put forth 110% of effort to do a solid job for me. I hope to work with all of you again next spring when the saga of home repairs continues. Thank you. I wanted to thank you and your crew for the sensational job they did on the tear-off and reroofing of our home this month. Jackov, Andreusz and Grigori are the hardest working people I have ever encountered. They worked from the moment they arrived at our home never stopping or even slowing down except for a 30 minute lunch break. (And it was 30 minutes not 31 or 32.) They didn’t even take a bathroom break. What’s more important is that they did quality work. I specifically asked my village building inspector to come by and check out the work while it was in progress. He came by, climbed up on the roof, and after his inspection he said they were doing a great job. The inspector also told me that there were some roofing companies that he had to be wary of but that he never had a problem with Herzing. Finally Ed and his young assistant did a great job on the structural repair to our front overhang. Not only did he fix the problem but their incredible attention to detail left the area looking better than new. Several of my neighbors mentioned the speed, quality and appearance of the finished work. Thanks again to you and your staff for a beautiful, quality job. Thank you very much for your efforts in getting our roof done in time. Well done and very much appreciated! Keep in touch and stay well! Mr. & Mrs. Bob F.
The gazebo roof looks great! You’ll have to stop in and see our deck / gazebo when it’s all finished. Please let us know when Perry’s baby arrives! Thank you for your continued excellence in workmanship! Enclosed is the check for work performed at our home in Bartlett, IL. We are very pleased with the work that was done on our residence. The people that did the work were very knowledgeable in their field. The work that was done was of excellent quality and was performed in a well organized manner with little disruption to our lives. We would definitely recommend Herzing Installations to others. Once again Thank You! Thanks for all your help with our windows and doors. Eddy and the guys did a great job installing them and our house looks great! We just want to let you know what a superb job your men did at our home. They were neat, polite and hard workers. I would highly recommend your company and the crew that worked on our home. Enclosed is our check for the installation of our new roof. Thank you so much for all your kindness. The roof looks wonderful! We were so pleased with the professionalism of your workmen. The heat that day was intense, but they didn’t waiver, they worked hard and got the job done quickly. You can be sure that we will recommend you and your firm very highly to everyone we know. Thank you all for the beautiful work on our home. It looks wonderful. Our neighbors keep complimenting us on how nice it looks. Thanks again for all your help. You made our misfortune (lightning strike destroying chimney) so much easier to endure. You and your team are very special. Keep up your standards! Thank you for a job well done. My son Gregg was right to recommend your company, and I will do the same when the opportunity arises. Please find check enclosed for the recent siding, gutters, etc. job (statement dated 4/27/00). We are totally satisfied and cannot imagine a better job would ever be possible. I never realized how “shabby” our old siding was appearing until viewing our new siding. I have now become very conscious of “old siding” on other houses. While I have no knowledge whatsoever of installing siding, all one has to do is look at the job Eddie and the “boys” did on our house and it is quite evident it was done by professionals. Please convey our total satisfaction to those fellows. If you ever have a customer questioning your capabilities, you are welcome to have them call me. I will be happy to convey our total satisfaction with Herzing Installations, Inc. Thanks again and just give us a call when the replacement window is ready for installation. My husband and I are very happy with the roof. Your roofers do exceptional work! They are very professional. It was a pleasure to have them work on our house. Thank you for all your help. Our roof looks beautiful! My husband and I were very impressed by the quality of work provided by Lester & Casey. They did a great job and appreciate that all was clean when finished. You could certainly use us as a recommendation if needed. I want to thank you for employing such WONDERFUL workers to do my home. I have never seen such hard working, great, polite guys in my life. Lester and Casey were un believable. My neighbors were impressed and I recommended your company to everyone. It was refreshing to see a genuine work ethic for a change. Feel free to use me as a reference for your company. Just a brief note to let you know that we were very pleased with the work that was done. The whole job was handled very professionally, they did an excellent job of cleaning up, and they worked non stop until the job was done. We couldn’t have been more pleased. I will certainly recommend Herzing to anyone who asks me. Designed By Tributary Group, Inc | Copyright © Herzing Installations, Inc.